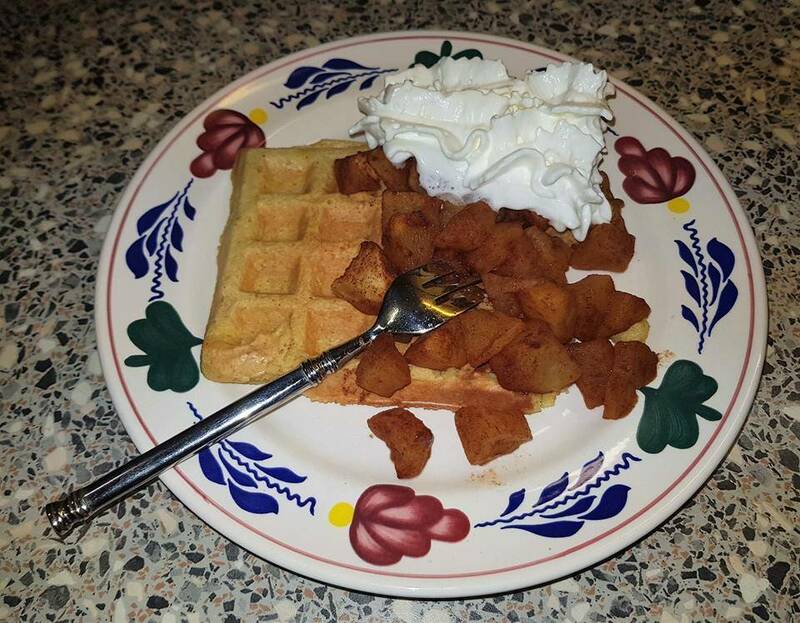 Apple pie waffles is a recipe from Sandra Kemna in which she processes Greensweet Erythritol. Put the grated apple, oatmeal, skyr yoghurt, egg and baking powder in a bowl and mix with the hand blender into a paste. Meanwhile, mix the apple cubes with cinnamon and sugar and put in the microwave for 3 minutes. Divide the apple over the waffle and if you have points left you can add some whipped cream light. Eat and thank Marieke and Sandra for this delicious recipe.